The first time Elizabeth Johnson told her oncologist she wanted to start folding integrative therapies into her breast cancer treatment regimen as a way to alleviate side effects, he told her "Sure, you can try, but it's not going to help." He also told her that the second, the third, and fourth time she asked. "He's no longer my oncologist," said Johnson, a 28-year-old homemaker from Minnesota who's a year out from diagnosis but still in treatment. "He was great in many ways but not a good fit for me. It's really important for me to have an oncologist who has a reasonably open mind. All he knew about and apparently all he cared to learn about was chemotherapy." Breast cancer patients like Johnson can now tell their doctors that integrative therapies like acupuncture, meditation, massage and yoga have been endorsed by the world's leading professional organization of cancer doctors, the American Society of Clinical Oncology, as evidence-based ways to manage symptoms and side effects of conventional breast cancer treatment. The endorsement, published today in the Journal of Clinical Oncology, came from an expert panel that reviewed a set of clinical practice guidelines for integrative therapies put out by the 15-year-old professional organization, the Society for Integrative Oncology, or SIO. Co-chaired by ASCO senior statesman Dr. Gary Lyman of Fred Hutchinson Cancer Research Center, the panel did not embrace each and every one of the practices recommended in the SIO's guidelines. But they did send a clear signal to breast cancer patients and their care teams: It's OK to integrate. "If patients are using these therapies in addition to effective scientifically proven cancer therapies and their doctors are aware of it, we're comfortable with it," said Lyman. "The only time it becomes an issue is when these are not disclosed or are used instead of conventional effective therapies." Integrative oncology coordinates the delivery of evidence-based complementary therapies with conventional cancer care. It's not about using acupuncture or yoga or meditation or other therapies instead of surgery, chemo, radiation and hormone therapy, but rather using them with standard treatments to alleviate their well-documented side effects. Integrative oncology is informed by scientific, not anecdotal, evidence; it also takes a more holistic approach than conventional Western medicine by catering to a patient's mind, body and spirit. Mostly, integrative oncology is an emerging field, with comparatively little scientific research on the various therapies' harms and benefits. The ASCO panel vetted and updated the available evidence compiled by SIO, then offered guidance for their use. Published in 2017, the SIO guidelines were based on an analysis of peer-reviewed randomized controlled trials—the gold standard for scientific research—conducted from 1990 through 2013. 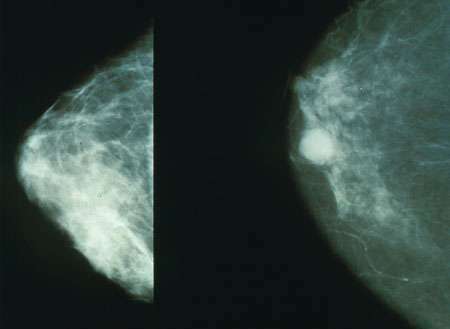 Studies had to include more than 50 percent breast cancer patients or separately report results for breast cancer patients; use an integrative therapy as an intervention during standard treatment or address symptoms and side effects resulting from diagnosis and/or treatment; and address an endpoint of clinical relevance (that is, have a noticeable effect on a symptoms or side effect of treatment) for patients with breast cancer and breast cancer survivors. While ASCO's endorsement represents a milestone in the integrative oncology field, Lyman said it's just the beginning of a long and rigorous research road. "There are a few approaches with clear scientific evidence, like acupuncture, that show it helps alleviate treatment-related joint pain and is also helpful as an adjunct with anti-nausea medicine to reduce nausea from chemotherapy," said Lyman. "But we need more science here to direct and guide patients and their doctor as to what works and what doesn't work." ASCO's endorsement of the SIO guidelines is meant to set the stage—and the bar—for additional research, a crucial step considering the vast number of patients already using these therapies. "This stuff is out there, and while there's not much evidence for many of them, there are some things like relaxation, meditation or yoga, where there's almost no chance for harm and they may be beneficial," said Lyman. "If there's evidence that they're helpful and no evidence or reasonable expectation that they'll harm, we're comfortable saying they could at least be considered." Breast cancer was selected by SIO because it had the largest patient population and the largest amount of scientific data. "We have very little data in most other malignancies," said Lyman. "It was a natural place to start, but it shouldn't be where we end." Fred Hutch epidemiologist Dr. Heather Greenlee, a former president of the Society for Integrative Oncology and co-chair of the SIO guidelines, called the ASCO endorsement a "very important step for the field of integrative oncology." "We have data suggesting that somewhere between 60 to 80 percent of cancer patients use at least one form of complementary, alternative or integrative medicine following a cancer diagnosis," she said. "But there's a dearth of information out there on what works and what is safe." ASCO's endorsement of the SIO guidelines will give clinicians the information they need to talk to their patients and institutions the information they need to implement these therapies in safe and effective ways, said Greenlee, who recently co-authored a study that found acupuncture helped relieve treatment-induced joint pain in breast cancer patients. According to research, more and more National Cancer Institute–designated cancer centers are offering integrative therapies to their patients. The ASCO panel weighed in on a number of therapies; letter grades reflected the amount of scientific evidence and efficacy. Grade A and B recommendations reflected a "high certainty" that the net benefits were either substantial (A) or moderate (B) and advised oncologists to offer the therapy. Grade C therapies should be "selectively offered" to individual patients based on professional judgment and patient preferences; Grade D therapies were found to offer no net benefit and were discouraged. Grade H therapies were found to be likely harmful and also discouraged and Grade I showed insufficient evidence for any kind of recommendation either way. How did the various therapies rank? Meditation, music therapy, yoga and group stress management programs were all recommended for reducing anxiety, while acupuncture, massage and relaxation could be "selectively offered" to individual patients. Acupressure, electro-acupuncture, ginger and relaxation could also be "selectively offered" to individual patients along with anti-emetic drugs for nausea and vomiting during chemo. Use of the supplement glutamine was discouraged, though, due to lack of an effect. Meditation (particularly mindfulness-based stress reduction), relaxation, yoga, massage and music therapy were all recommended for treating depression and mood disturbance while acupuncture, healing touch, and stress management could be "selectively offered" to individual patients. Hypnosis, ginseng, acupuncture and yoga could be "selectively offered" to individual patients to help with treatment-related fatigue, but ASCO advised patients to seek guidance from their health care team before using ginseng or any dietary supplement. Some ginseng has estrogenic properties, which could harm certain breast cancer patients. ASCO also discouraged the use of Acetyl-L-carnitine and guarana for fatigue. Low-level laser therapy, manual lymphatic drainage and compression bandaging, ASCO found, could be "selectively offered" to individual patients for lymphedema. Acupuncture, healing touch, hypnosis and music therapy could also be selectively offered to individual patients for managing pain. Meditation and yoga were recommended for improving quality of life; acupuncture, mistletoe, qigong, reflexology, and stress management could be considered and "selectively offered." ASCO warned, however, that mistletoe use should only be subcutaneous, since ingestion of high doses of mistletoe berry or leaf can cause serious adverse reactions.